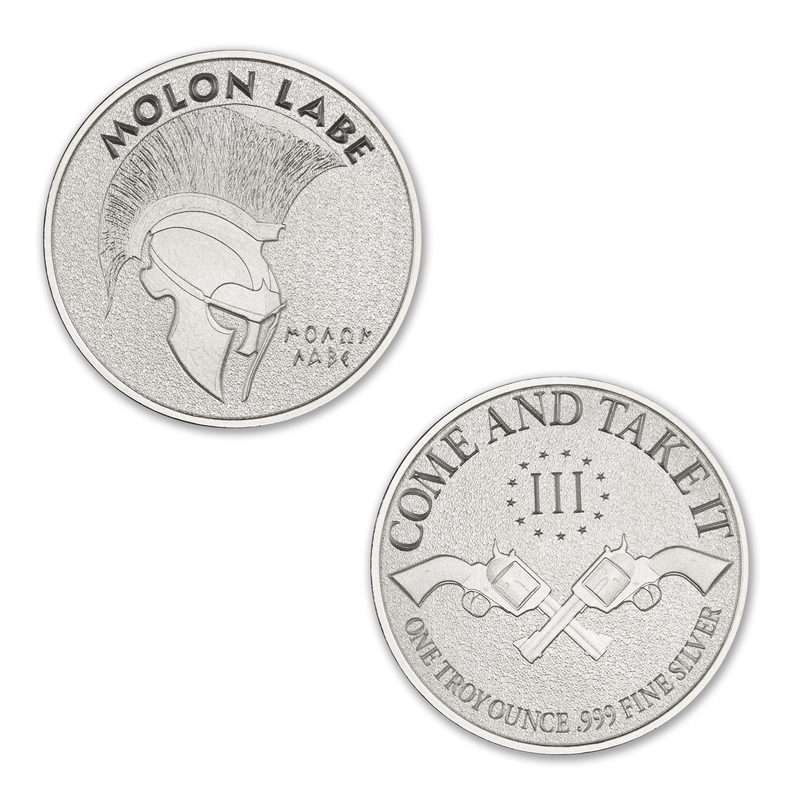 Molon Labe, meaning “come and take it” is a traditional Greek phrase expressing defiance, believed to be spoken by the Spartan King Leonidas when the Persian armies demanded the surrender of their weapons. 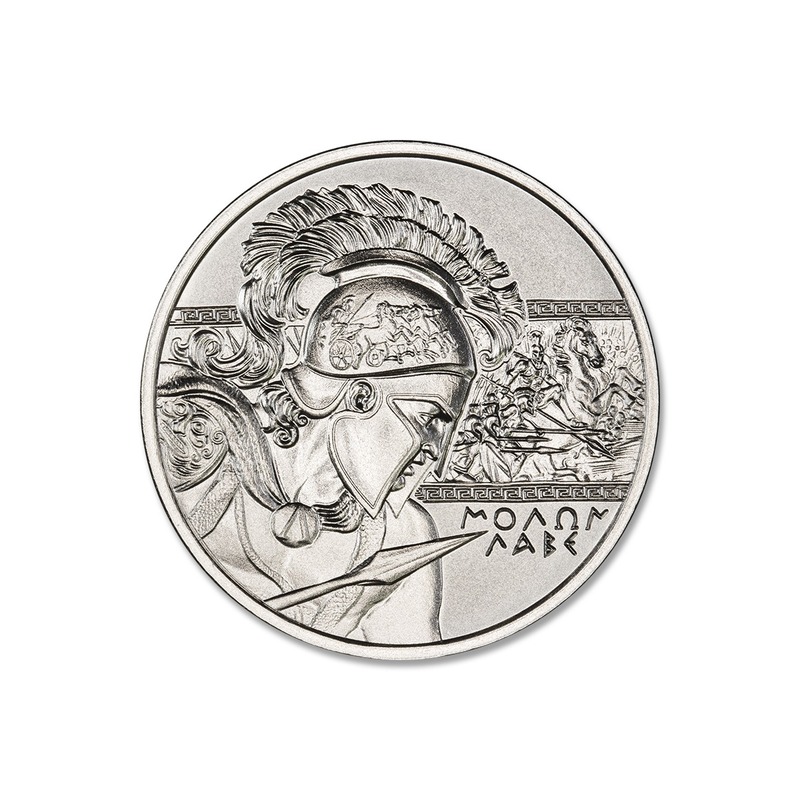 The expression is commemorated in this one-ounce silver art medal. 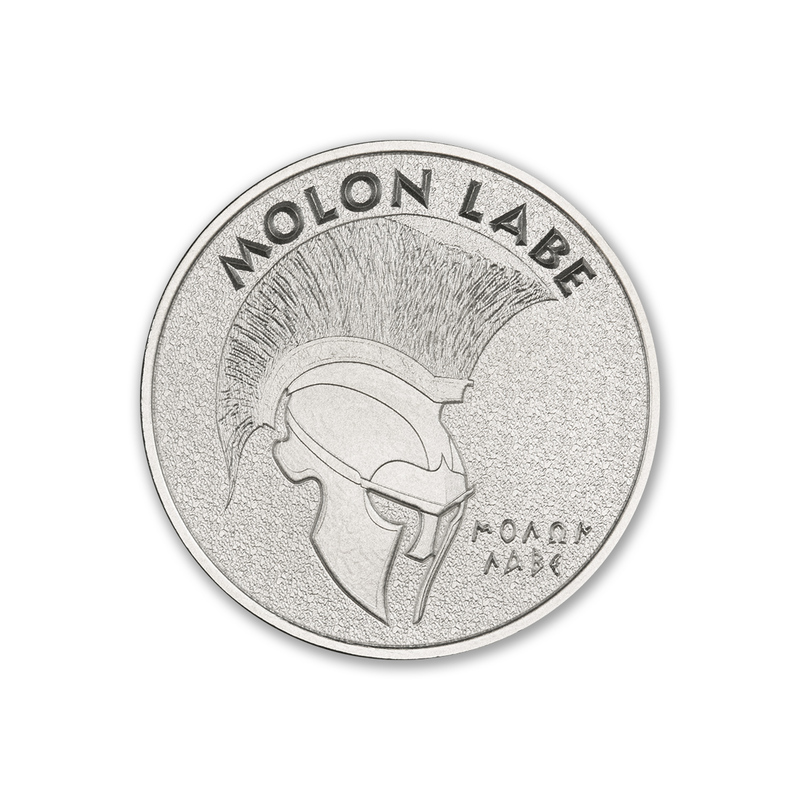 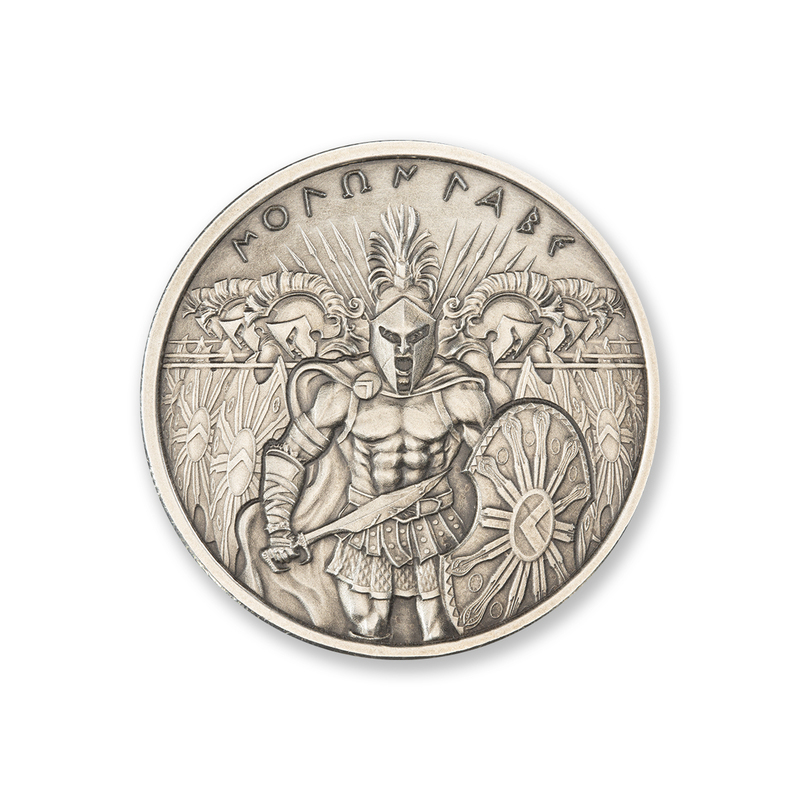 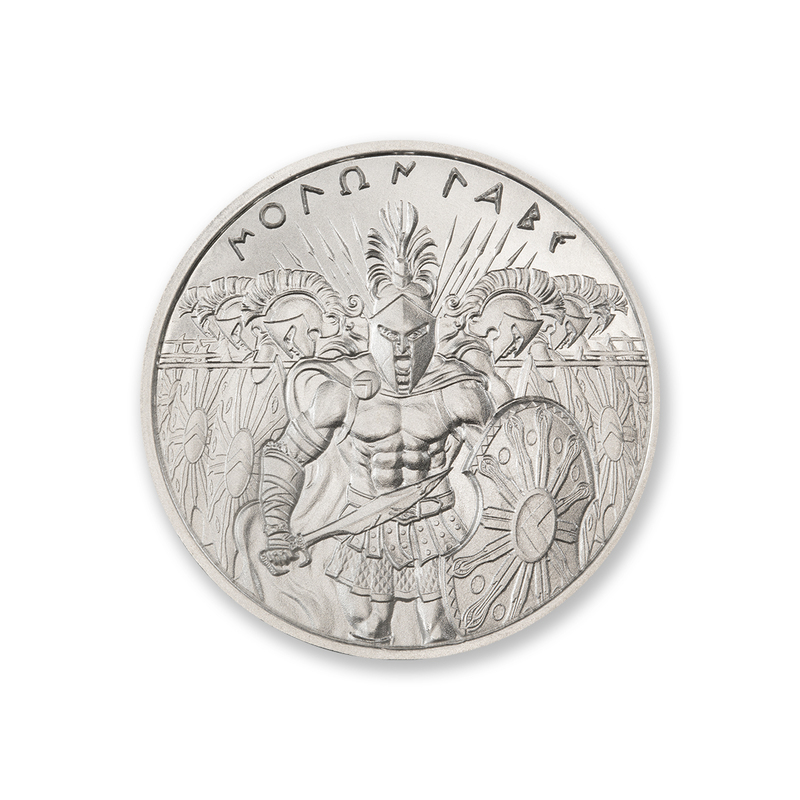 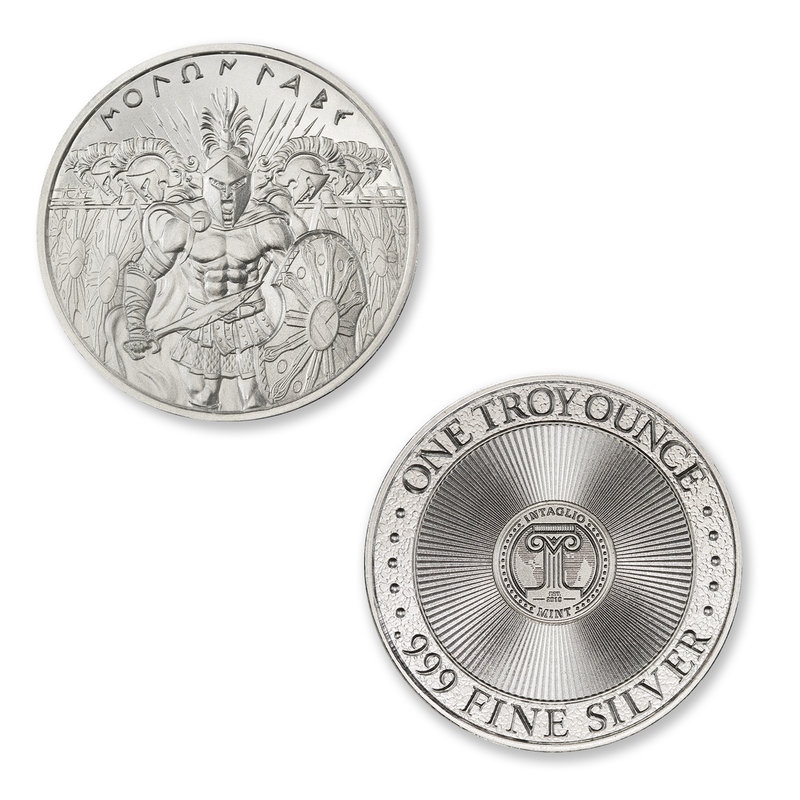 Obverse: The Detailed depiction of Soldier in Spartan regalia holding a spear, with a battle scene in the background, and the words “MOLON LABE” positioned at the point of the spear. 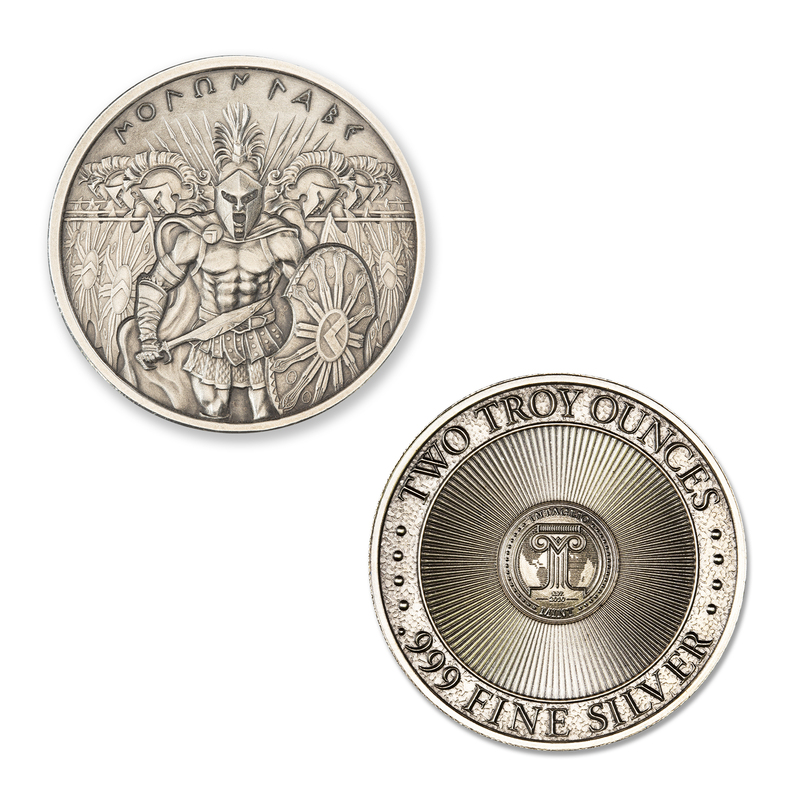 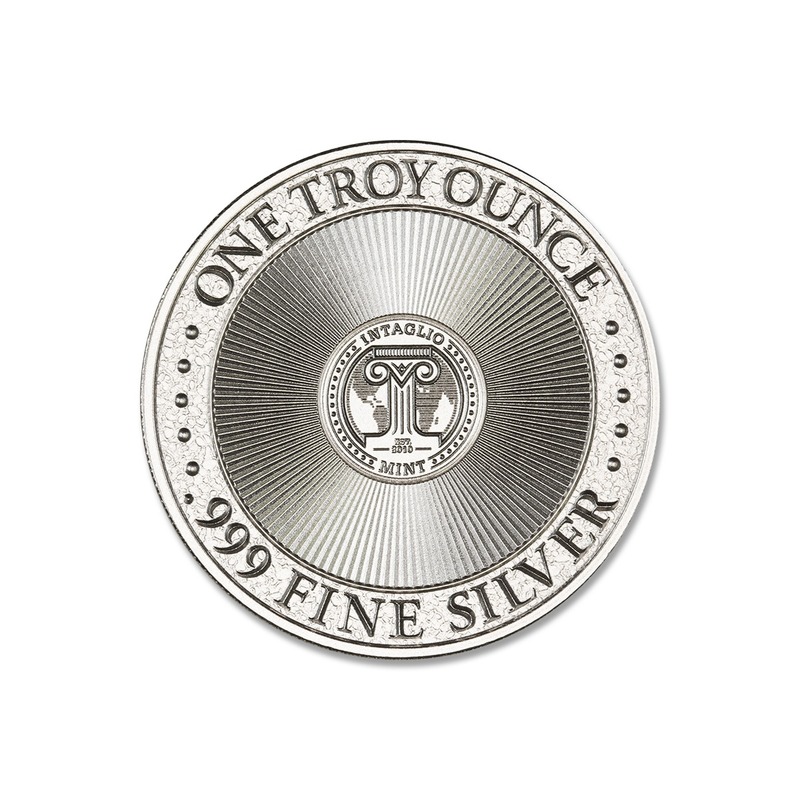 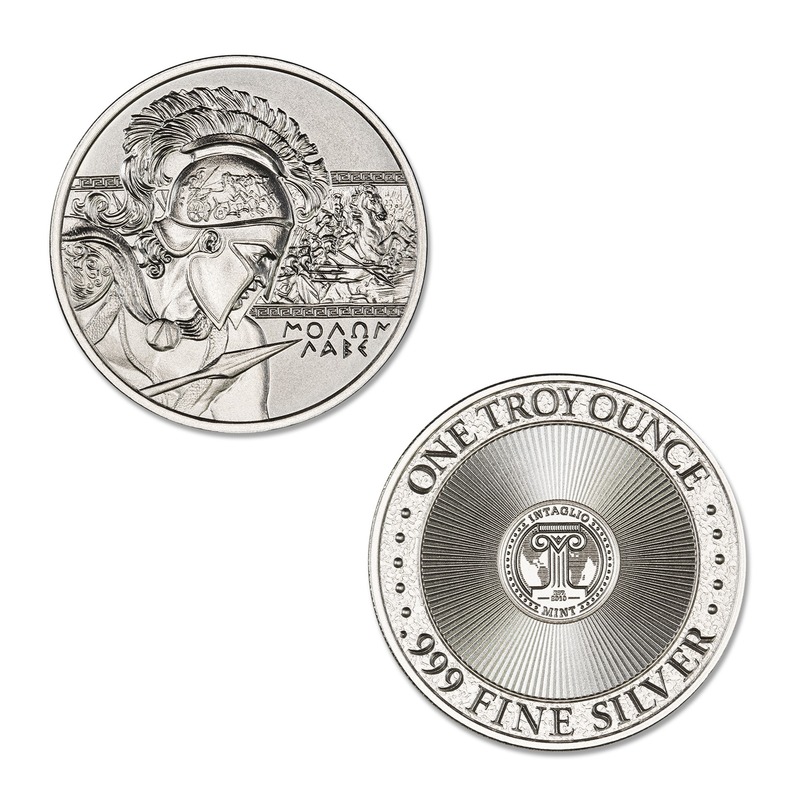 Reverse: Intaglio Mint logo set on radial burst surrounded by stippled border reading “ONE TROY OUNCE” above and “.999 FINE SILVER” below on textured background, flanked by 4 bullet points on each side.